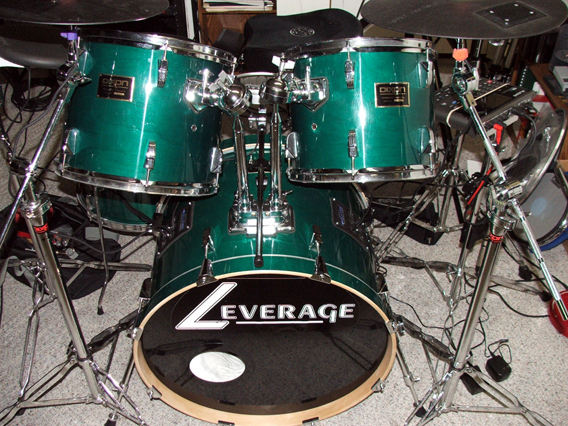 Back in 1998-99 I came up with an idea to use my bass drum as a rack mount for my old Alesis DM5, a 200 watt amp, and an integrated bass drum trigger. My biggest reason for coming up with this idea was to have all of the cabling come for the bass and to stored cables when going to and from gigs. I never made that idea, but I did use part of that idea in 2003. 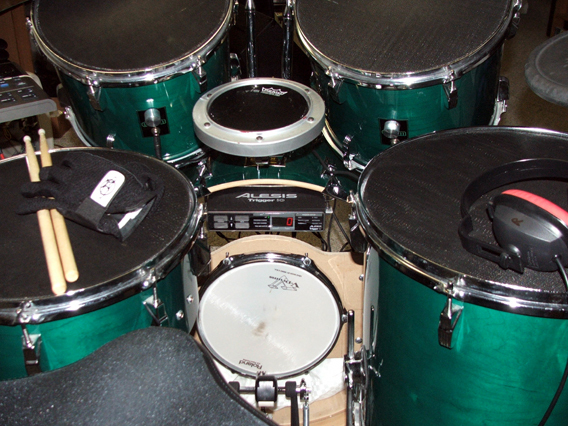 In 2003 I converted my Dixon Acoustic drum set to an electronic drum set. Yep, that’s right, I was converting “A” kits before it was the big thing to do. 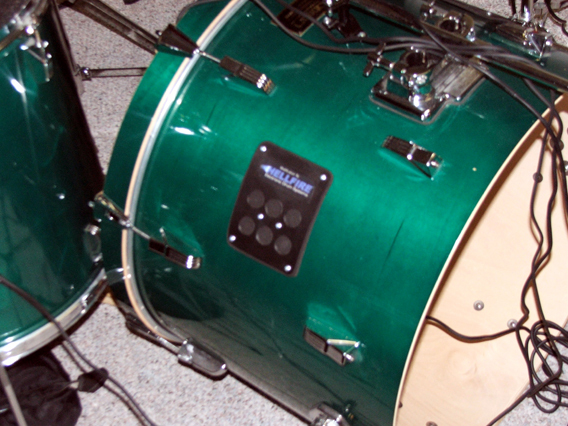 When I converted the Bass drum, I used my idea of for a small integrated trigger. 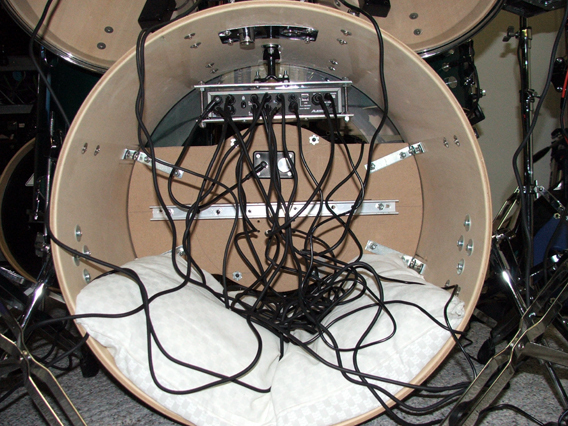 I made a 10″ diameter mesh head drum trigger that was mounted into the drum itself. You can see this in the second picture of my eDrum Set #6 in the Gallery. This was mainly done to save money because a 22″ mesh head was (and still is) expensive. Fast forward to today. I have always wanted to integrate a drum module (or TMI) but without heavy modification to the bass drum it wasn’t going to happen unless it was a rack mountable module and my Roland TD-8 is not. I could have use my old idea of an Alesis DM5 but, that seemed old hat to me. I chose to use an Alesis Trigger I/O together with an Alesis SR-18. Again, this was another idea I wrote about in “Make A Modular Module?” back in March of last year. This allowed me to separate the TMI for the sound source. Which was the original goal back in 1998-99 to help control how the cables were stored. Well I finally got sick and tired of using my cable snake. I took my bass drum to the next level. 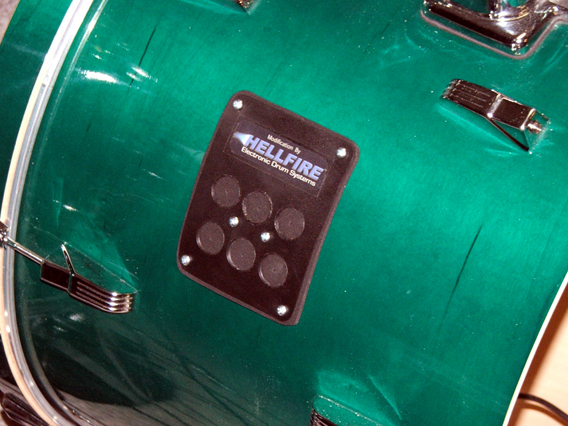 By housing the TMI (Alesis Trigger I/O) and cables in the bass drum, it speeds up the set-up and break-down time at gigs. 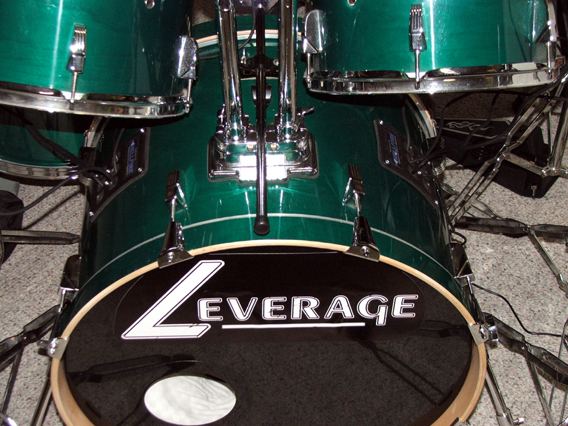 By having the Alesis SR-18 external to the bass drum, it makes it easy for changes on the fly. Drum shell, Cake Pan, What’s the Difference? Update!!!! Roland Electronic Drum Set with Gibraltar Rack?